Tipu Vahid Khan is an American physician who has traveled and worked in Haiti numerous times. Doc Tipu grew up in Southern California and worked his way up and down the west coast during his education. He attended UC Davis for undergraduate where he earned a Bachelors of Arts degree in Philosophy and a Bachelors of Science degree in Neurobiology, Physiology, and Behavior. He then went north to Seattle where he attended the University Of Washington School Of Medicine, earning a Medical Doctor degree with an added qualification in The Underserved Pathway. He returned to the Los Angeles area for residency training in Family Medicine at Harbor-UCLA L.A. County Medical Center. He completed a fellowship in Surgical Obstetrics at USC Family Medicine California Hospital. 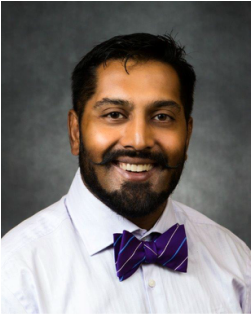 Doc Tipu is a core faculty physician at Ventura County Medical Center Family Medicine Residency Program. He is a Clinical Instructor of Medicine at the UCLA David Geffen SOM. He is Faculty for Continuing Medical Education for the California Academy of Family Physicians. Doc Tipu has dedicated his life to working with the poor and underserved, both here and abroad. During his career he has been involved in the student/resident physician run free clinic system. As an undergraduate he helped open a free clinic for the homeless of Sacramento; as a medical student he opened the first student run open-community free clinic in Seattle; and as a faculty member is working with students from The University of California at Irvine in opening a free clinic for the working poor of North Orange County in Southern California. After the Haitian earthquake of 2010 Doc Tipu has travelled numerous times to Haiti to help first in the disaster response phase, next in the healing phase, and now in the reconstruction phase. Throughout all this, he has been touched by the stories and people of this Caribbean isle and now writes these stories for others to experience. His writing experience is diverse. As an MD and a published writer, he has covered everything from philosophical articles to peer-reviewed reports for national journals and textbooks. All in all, he has nine completed publications, and four articles and one textbook pending publication. Doc Tipu enjoys spending time with his family, cooking, writing, medical political activism, submission wrestling and jiu-jitsu.